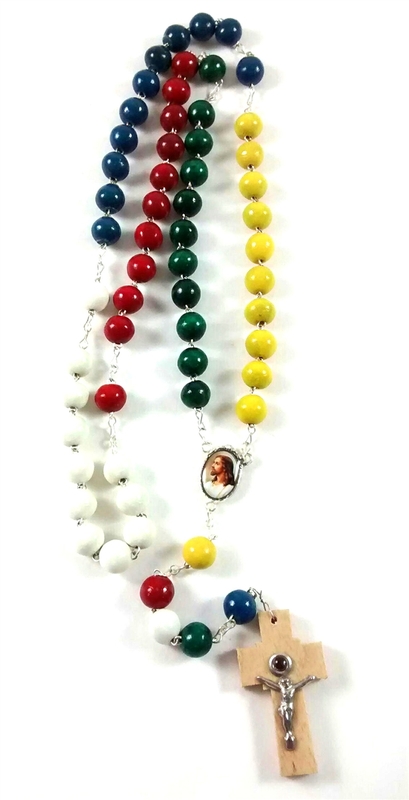 Mission Rosary Lens Crucifix measures about 20" in length. 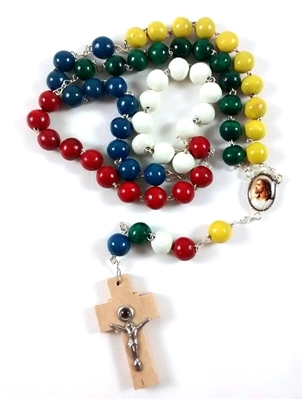 Wood cross cut beads--5 colors representing the 5 continents. Crucifix with lens contains a pic of Our Lady of Guadalupe. Centerpiece with with image: The face of Jesus on one side and St. Fr. Daniel Camboni on the reverse.